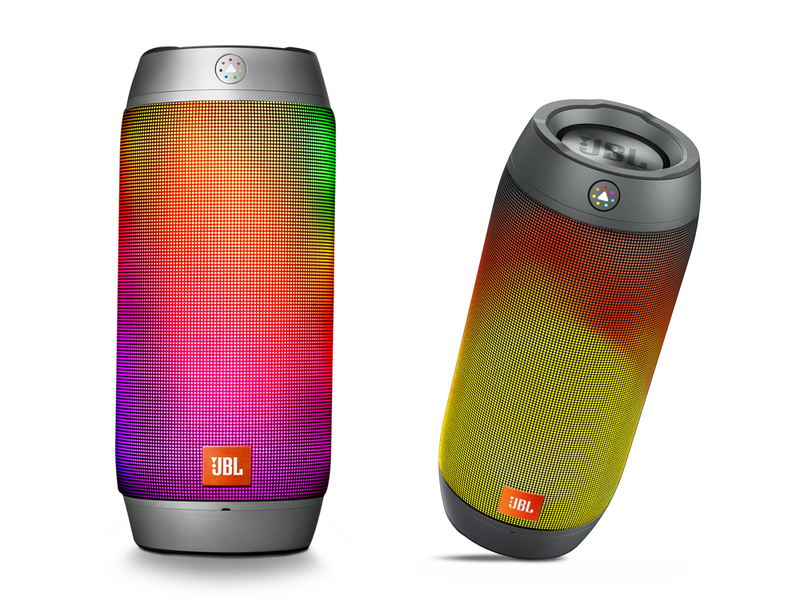 Now that JBL has officially released its Flip 3 and Xtreme wireless portable speakers in North America, the company's most attractive party starting light-up portable speaker has received a much deserved update. The Pulse 2 now has a more refined interactive multi-colored light up LED panel design that's water-resistant, dual side-firing passive bass radiators that will provide a significant boost in bass performance compared to its predecessor along with larger dual 45mm speaker drivers. Another new and arguably innovative new feature is the inclusion of a color sensor lens at the back of the speaker that allows the Pulse 2 to pick up the surrounding colors of where it sits and projects them on its colorful light display. The Prism, as it's called, can be pointed at any color and at any time for instant color shifting mirroring. The Pulse 2 also features noise and echo-canceling speakerphone functionality, backlit controls, and a bigger internal 6,000mAh rechargeable battery for up to 10 hours of playtime with light show turned on - a 5 hour improvement over the original Pulse. And like JBL's Flip 3 and Xtreme models, the Pulse 2 can also be wirelessly paired to multiple JBL Connect-enabled speakers (up to 3) for an amplified audio experience. The Pulse 2 is available in black or silver and will start shipping on the 29th of September. You can pre-order yours now for $200.